English Classroom Expressions Pics include 16 full size pictures in crisp black and white for flashcards or wall posters of the common expressions like "May I go to the bathroom?" 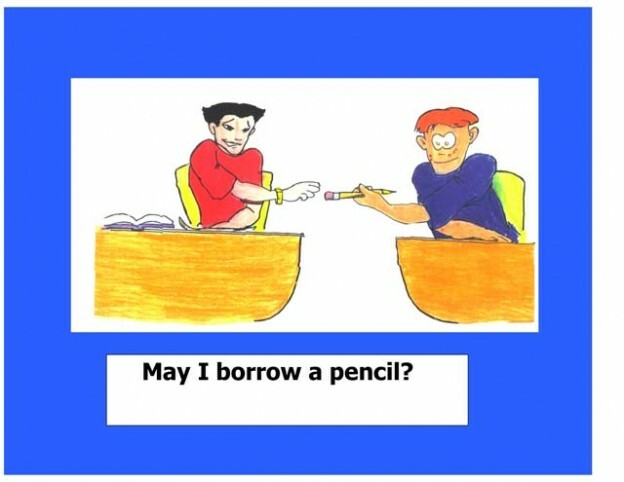 or "May I sharpen my pencil?" Included are large typed expressions written in English.